I didn’t read anything this week because for some reason, everyone wanted to see me. So I’m still in between the pages of F.H. Batacan’s Smaller and Smaller Circles, which I’m starting to miss. I haven’t started on my July-August issue of Monocle but The Escapist is already on its way! Whoa there, Monocle. Chill out. 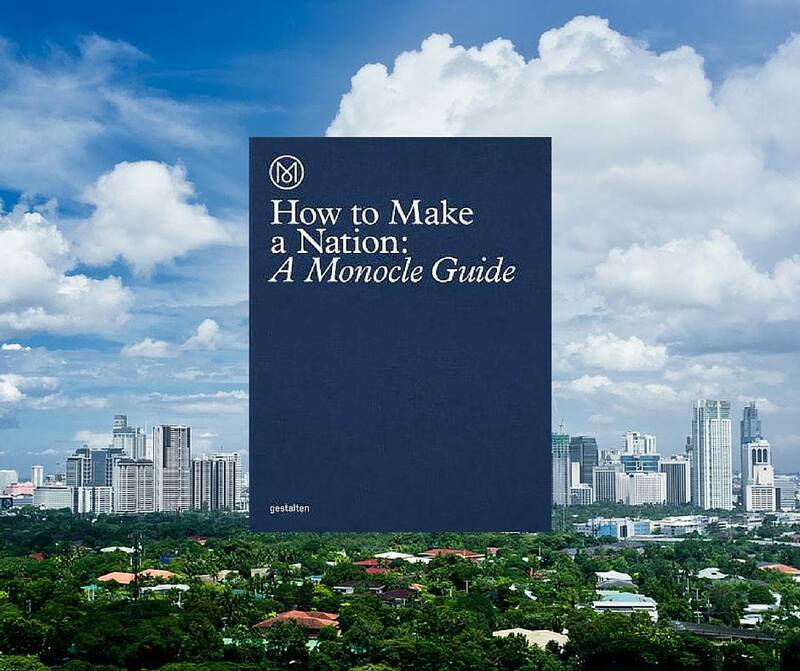 My friend Axcel also gave me a copy of How to Make a Nation: A Monocle Guide, which he bought at the Monocle Store in Singapore. I love how I’m getting all this Monocle stash, but I should get started soon. A series of presentations for something I’m planning for WhenInManila.com. I can’t talk about it yet, but if everything goes well, I might be doing something else entirely. I’m a little nervous, though. The Smith’s “Please, Please, Please, Let Me Get What I Want,” which sums up what I’m feeling right now. My 50th movie was The Big Short, which dealt with the financial crisis of 2007-2008. It’s not exactly my cup of tea, but I’m trying to broaden my horizons. Film is becoming my source of education (followed by research, of course), and I’ve learned so much, such as this crisis and the Cold War (through Bridge of Spies). Even if The Big Short was confusing for a simple mind like mine, I like how it irreverently explains jargon through cameo appearances from Margot Robbie, Anthony Bourdain, and Selena Gomez. I enjoyed it! About my life. I’m at a crossroads right now and I’m about to take a leap of faith soon. Safeguard soap. I’m falling in love with it! That the swelling in my eye would subside. I took a short nap this afternoon and woke up to an ant bite on my eyelid! That I would get what I want. That my weight loss is continuous. It’s kind of weird, though. My weight is still the same but my clothes are becoming looser. What does that mean? 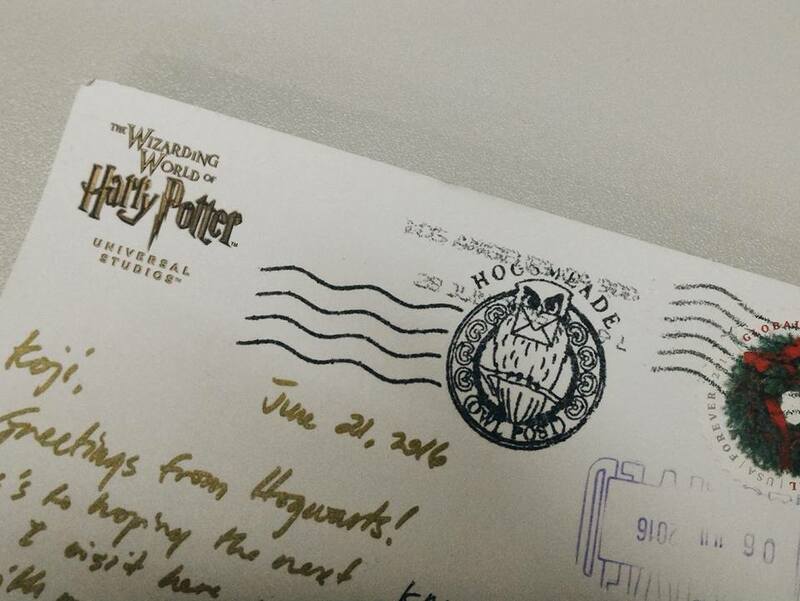 I also love the Hogwarts postcard Nikko sent me from The Wizarding World of Harry Potter in LA. For a minute there I thought I got my acceptance letter! To go all-black. I think I can safely buy a pair of black pants now after losing weight. I’m also thinking of investing in a pair of Doc Martens? I don’t know. To get my life together. Same as last week but at least I’ve made progress. Pooped. I’ve gone out so many times this week. I’m really not a social butterfly. I wonder how Tim Yap does it. I see him in every function I go to and I don’t go out so much! On Tuesday, I had wine with my friend Jen, and we finished a bottle by ourselves. 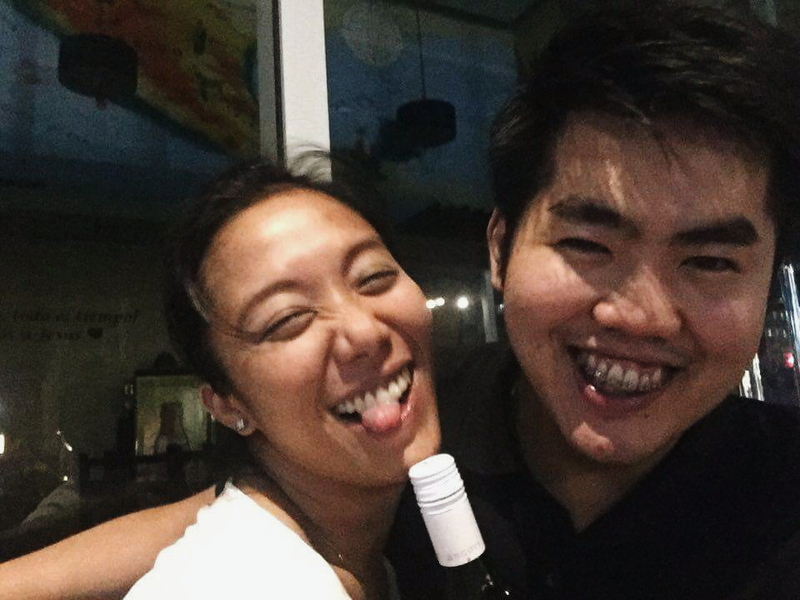 On Wednesday, I was supposed to meet Axcel, who is home for a week from Singapore, but he got stuck in traffic so we cancelled. Luckily, my friend Miko was around Makati and we had tea (Axcel visited me in the office the following morning). On Thursday, I had dinner and wine again with Jen, and we finished another bottle. I got sick on Thursday night so I skipped work on Friday. I’m pooped but I’m happy that so many of my friends want to see me. I feel so loved! I was supposed to meet Anjo today to watch Virgin Labfest’s last day, but I took a rain check to finish my presentations. 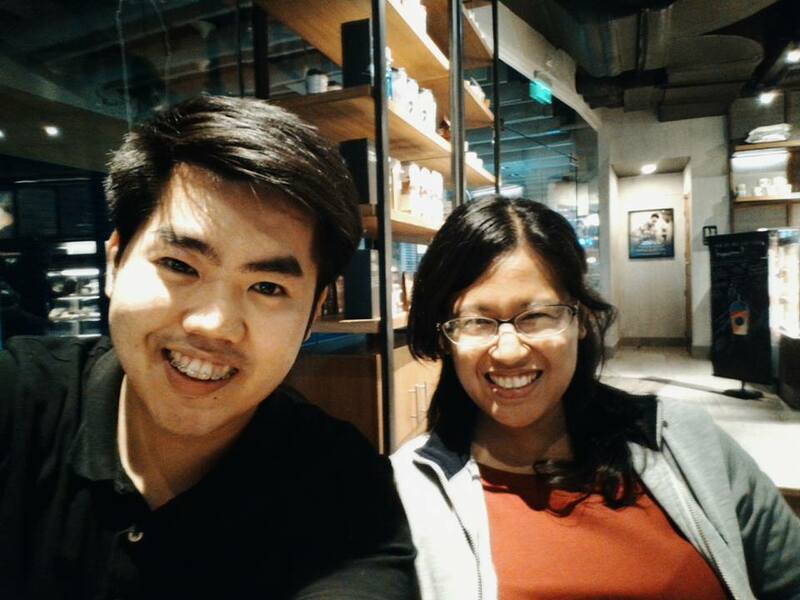 I’m also interacting more with my co-admins at WhenInManila.com, and we have interns now! We’re all having dinner at Marriott on Tuesday. The Secretive Inner Workings of Celebrity ‘Promances,’ or professional romances. I totally don’t buy Hiddleswift or JaDine. Things You Find Clearing Out Dead Strangers’ Homes for a Living. What a compelling read. I didn’t expect the second half of the article, though. Legally Blonde is a feminist romance between a woman and her own best self. Where did the years go? Legally Blonde was released 15 years ago! I’m so in love with Elle Woods because she did not compromise just to fit in at Harvard Law School. And did you notice that her romance with Emmett Richmond was only a secondary story? The main story was that Elle could achieve anything, even if she didn’t have a man. Screw you, Warner. Why Good Storytellers Are Happier in Life and in Love. Fascinating, but not surprising. 24 Of Elle Woods’ Most Iconic Lines Of All Time. Warner: You got into Harvard Law? Elle: What, like it’s hard? What Great Listeners Actually Do. Listening is not just sitting quietly and nodding at everything! “Pokémon Go” Is Quietly Helping People Fall In Love With Their Cities. Amazing. Businesses and local governments should look into this.